I made a recent trip to Washington USA to see the fields of tulips and daffodils in bloom and a spectacular site it was. I thought the song "Over the Rainbow" was appropriate. Last edited by lindonalta on Fri Apr 27, 2012 12:50 pm, edited 2 times in total. You didn't stop and say hi ??? 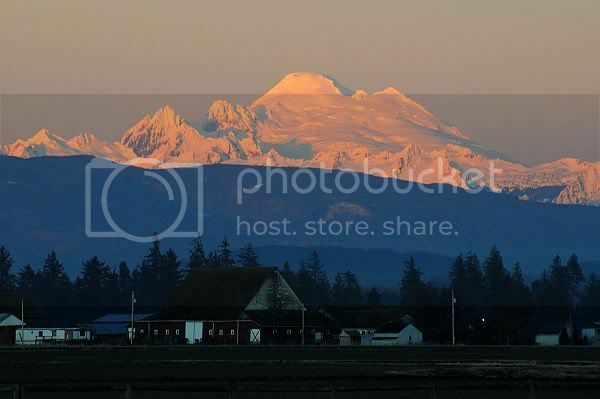 (I'm about 60 miles south of the tulip fields there in the Skagit). Excellent images and the perfect song for it. couple of minor things - there are a number of the shots that lean (like mine tend to do) - the horizon isn't level. There is also about 30 seconds of black/silence at the end ? Mikey: If only I had known a fellow Enthusiast was so near. Thanks for pointing out about the excess silence at end - not sure how that happended. You have a good eye for spotting the leaning horizon. lindonalta wrote: Mikey: If only I had known a fellow Enthusiast was so near. Thanks for pointing out about the excess silence at end - not sure how that happended. You have a good eye for spotting the leaning horizon. Actually, I know of at least 3 of us in the area here (well within 50 miles of me). Which side of Alberta are you in ? The flat side (East) or the mountains (West) ? Here is another shot from the area you were in looking at Mt. Baker with the late afternoon sun on it. 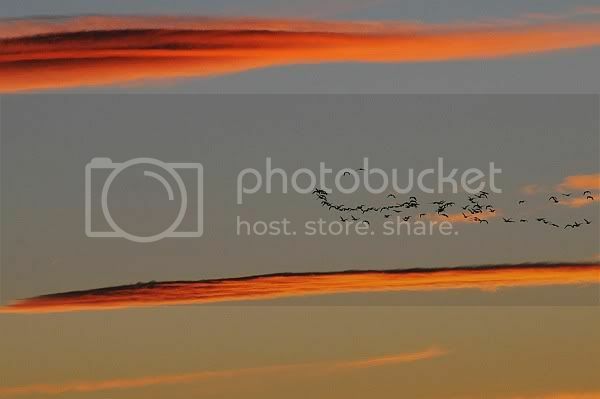 Facing the other way (west), same day, here is a flock of snow geese heading off into the sunset with some strange clouds. On a ship in the middle of the Atlantic at the moment, so am being frugal with my internet use and cannot watch the show until later, but I'm sure it's one I'd enjoy. I'm going to be in Keukenhof, Netherlands in a few days to see the tulips there. They are such delightful flowers and I'm thrilled that our voyage fit right in at the right time. The rows and rows of tulips and daffodils were beautiful. Over the Rainbow was perfect song for this show. I've tried growing both, only to have the squirrels dig them up. I know that daffodils and tulips don't stay in bloom for that long. I wonder what becomes of the field then? Beautiful color and patterns. I especially like the close-ups and low angle shots. You gotta get your knees dirty when shooting flowers. Your opening shot was fantastic with that wonderful soft light and shallow depth of focus. The scenics with blue sky were more appealing than those with brightened clouds. A good case for HDR software if you don't mind using a tripod and have a camera that brackets. Oloneo is the best and most natural HDR software in my mind. If you have Photoshop but have not upgraded to CS6 those bright clouds can probably be recovered with the updated "Highlights" in Camera Raw. It can acomplish much more than previous versions. Israel's Hawaiian version of a classic was a great music choice. You had me from the get go with that song and your opening shot. point and shoot and I don't have Photoshop for editing. I'm not into all the technical stuff and gadgets for picture taking - keep it simple is what I use and need. Wow, what a sight indeed - must be a wonderful place to visit. Lovely photos set to perfect music. A most enjoyable show.